Most Oaxacans prefer not to buy most food in supermarkets, instead shopping multiple times a week – or even daily – in one of dozens of neighborhood markets. Even the smallest neighborhood market has stands selling fruit; vegetables; meat (chicken and beef are usually sold at different stands); cheese; bread; spices, seeds, and dried goods from beans to pet food; and a variety of miscelaneas that sell packaged goods like yogurt, milk, and crackers. 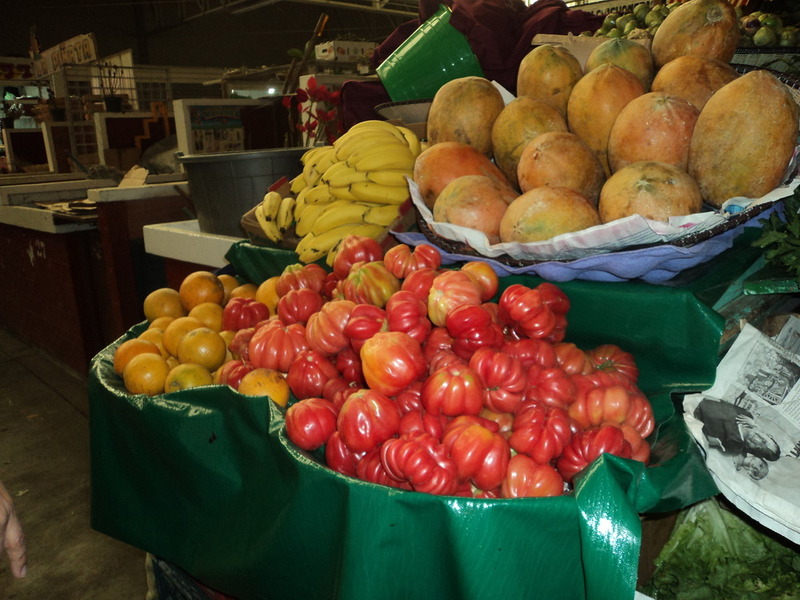 Neighborhood markets also generally have at least one juice stand that sells freshly-made juices (try a jugo verde with celery and cucumber) and licuados, at least one comedor selling cheap, delicious food, and at least one or two vendors selling tamales from a basket or steamer. 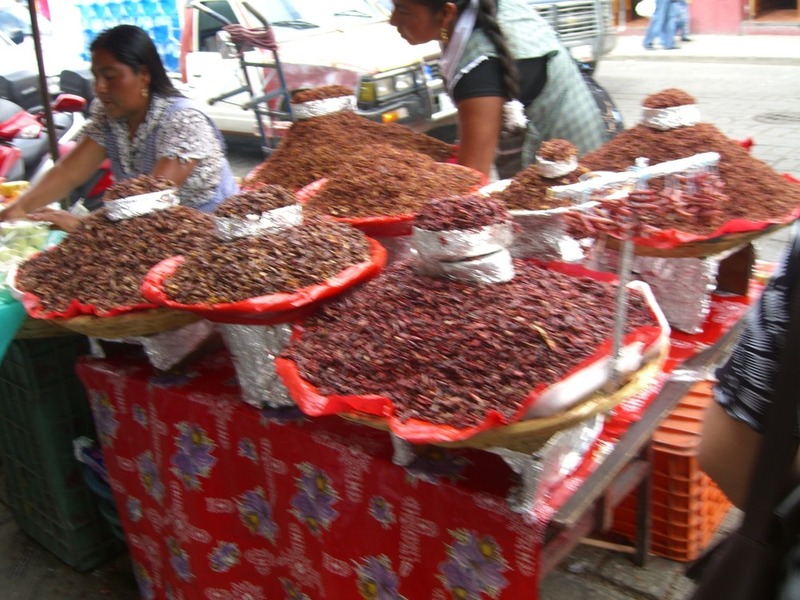 Many also sell chapulines (grasshoppers), dried shrimp and fish from the isthmus, and other local and regional specialties. Two of the best places to shop for crafts are at the Mercado de Artesanías (at the corner of Zaragoza and J.P. Garcia, 2 blocks west and 4 blocks south of the Zócalo) and at the outdoor market at Plaza Labastida, off Alcalá just south of Santo Domingo. 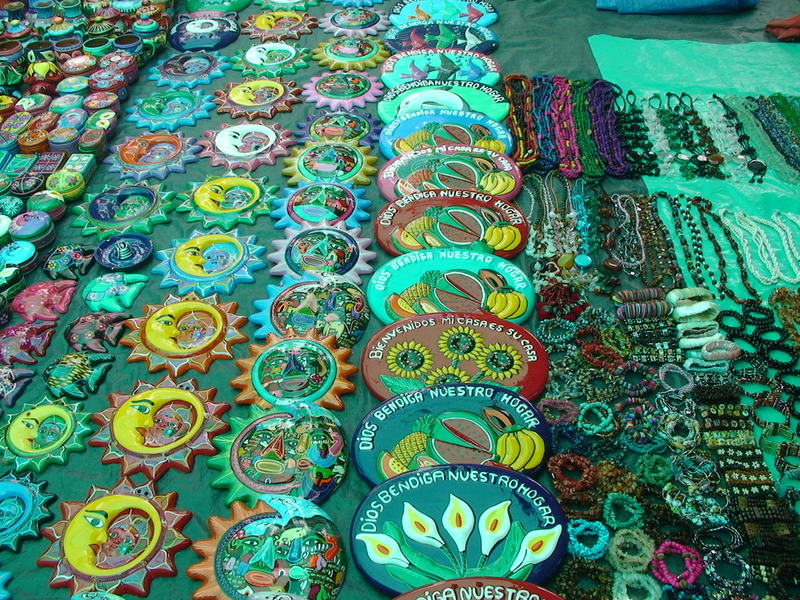 Popular crafts include embroidered huipiles (blouses) and dresses (and pillows, purses, and anything else you can dream of) from the Isthmus of Tehuantepec; alebrijes (wooden animals painted in intricate, bright designs) from San Martín Tilcajete; black pottery from San Bartolo Coyotepec; woven rugs from Teotitlán del Valle and Santa Ana del Valle; and many others. The centrally located Mercado 20 de Noviembre also contains a lot of handicrafts, especially leather goods like briefcases, purses, and shoes. Even better than shopping in markets is to travel to the artisan villages where the goods are made, if you are looking for something in particular, and to see the workshops and buy directly from the producers. 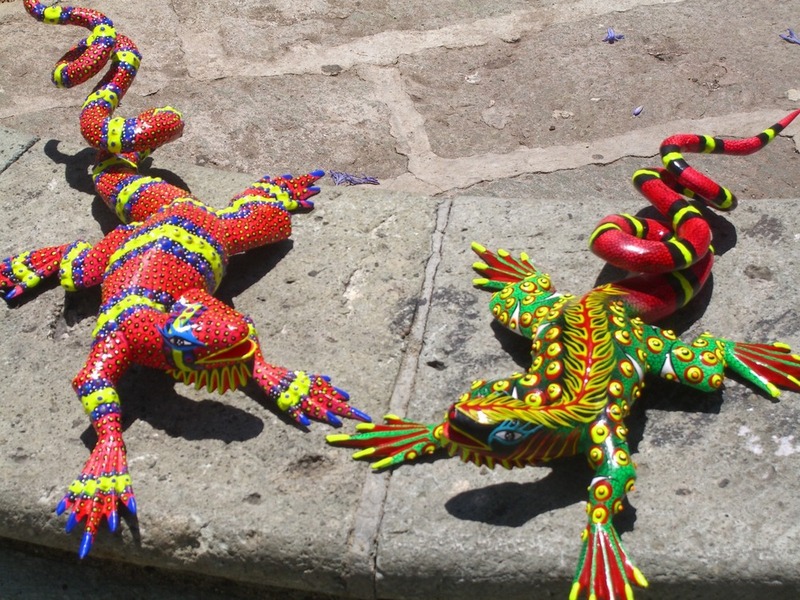 Future posts will explore some of Oaxaca’s largest permanent markets as well as some of the weekly tianguis in and around the city. This entry was posted in Uncategorized and tagged food, Instituto Cultural Oaxaca, Markets, Oaxaca, Oaxacan cooking, shopping, Things to do in Oaxaca. Bookmark the permalink.